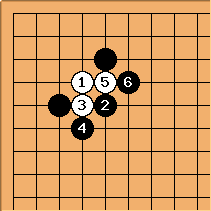 This is an interesting enclosure which can easily fool even many lower dans. It has been played in top professional games but it should be reserved for special cases. 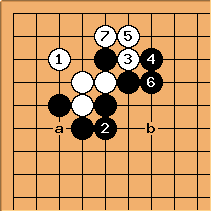 If white invades then black gets good influence but gives white a large corner. 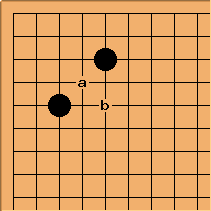 a is the point of invasion and b may be played to perfect the corner. 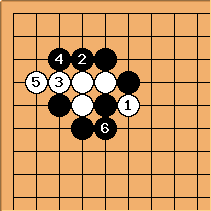 The first part of the joseki should come naturally to anyone.